Mourning the loss of her love, this Fallen Angel Incense burner is finely detailed cast resin. The incense smoke billows from the eyes and nose of the detailed skull, forehead emblazoned with a Pentacle. Designed for cone incense only (not included), it needs some air flow to really get the smoke going, so be sure to place it where the open back can catch a bit of a breeze. Beautifully hand painted cold cast resin incense burner features a black winged Dark Angel, detailed skull and black raven. Stands 5 inches high. Item Number: PT-10524 | Approximate Size (Inches): 5.00 wide x 3.50 deep x 5.00 high | Approximate Shipping Weight: 3.00 lbs. 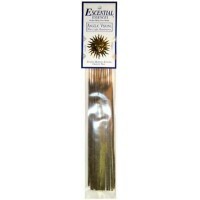 Energizing with a bright fragrance, Angelic Visions incense is perfect for .. 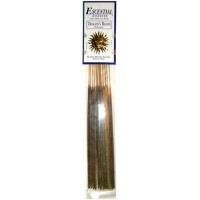 The exotic scent of Dragons Blood (created from the red resin of a tree - n..
A premium altar blend incense that combines the powers of the four elements..